Join The Holdfast: NaW Community Discord! Do go and check them out! 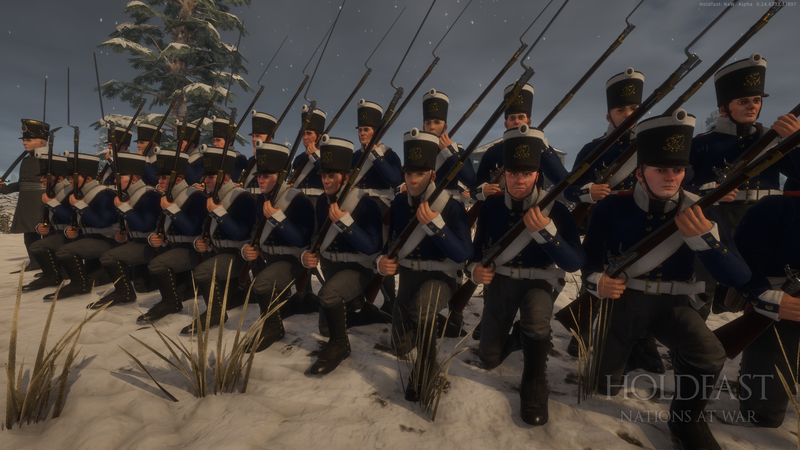 The Grenadier class will be introduced at a later stage. There are plenty of players who are particularly adamant about always joining one particular faction. Be it for better or worse, they only get to see one side of the map. That will all be changing in this update however. For all those event administrators out there hosting competitive events, you should note that this functionality is supported on all existing game modes including Army Assault. We’re certain that it’ll become a very useful tool. You can find instructions on how to set your server up further down below. British Coast Guards. New Units! 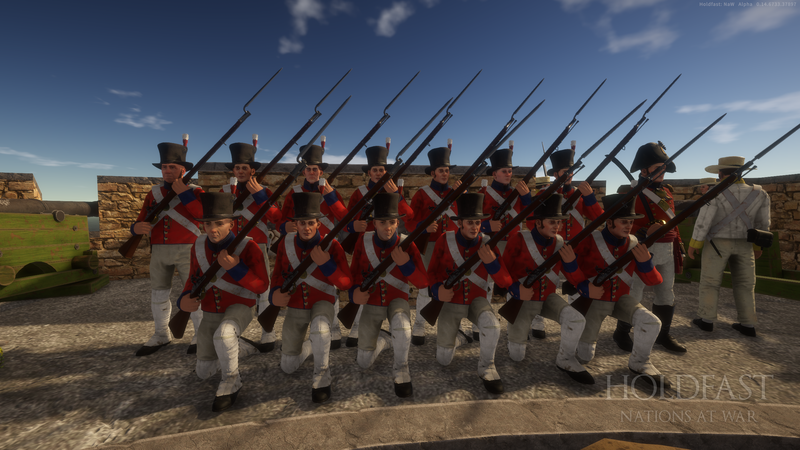 Ever wanted to defend as the British Coast Guards in the Coastal Siege game mode? Now you can! 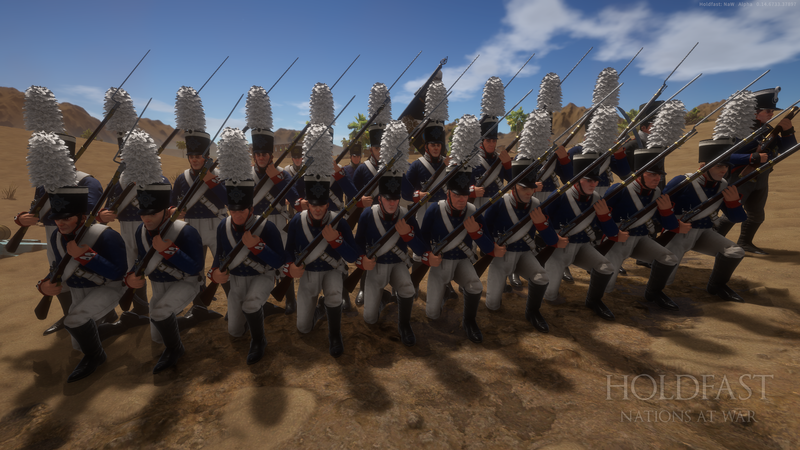 Since the initial faction spawn positions are now interchangeable we thought that it would be an opportune moment to make these units available to play in the Coastal Siege game mode. One of the first major improvements that players will immediately notice from the old user interface is that it, of course, looks significantly better! A truly marvellous job done by Cameron, our UI Designer on the design. This new spawn menu user interface will also be used to provide players with more information on the class they are playing in a future update. We are also now displaying a randomised set of ship names with the new user interface so you can easily distinguish which ship to spawn on if you’re playing with your crew mates. 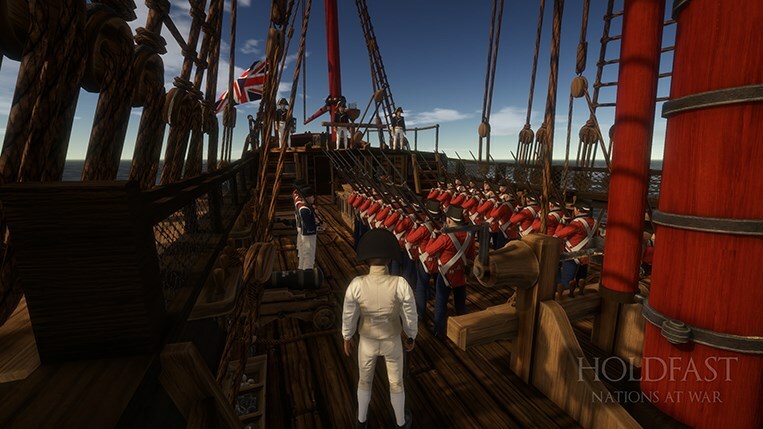 On a side note, we haven’t forgotten about some of the issues that occur whilst playing on naval maps. 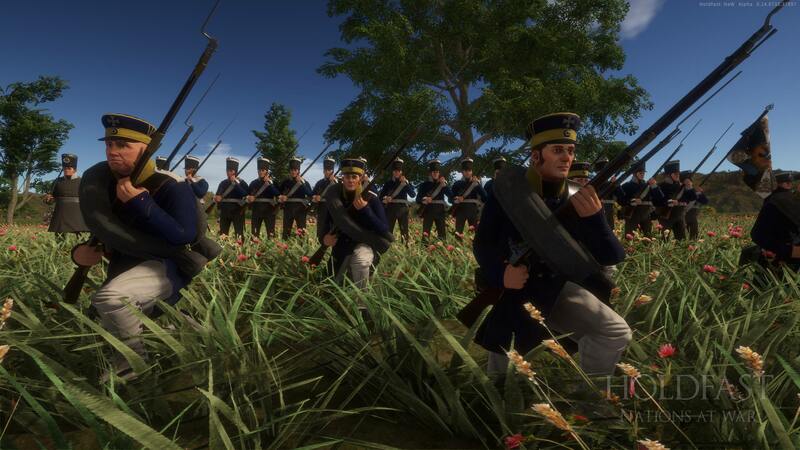 They’re on our to-do list for fixes after the melee combat improvements. We’ll also be introducing a couple of new maps with this update. 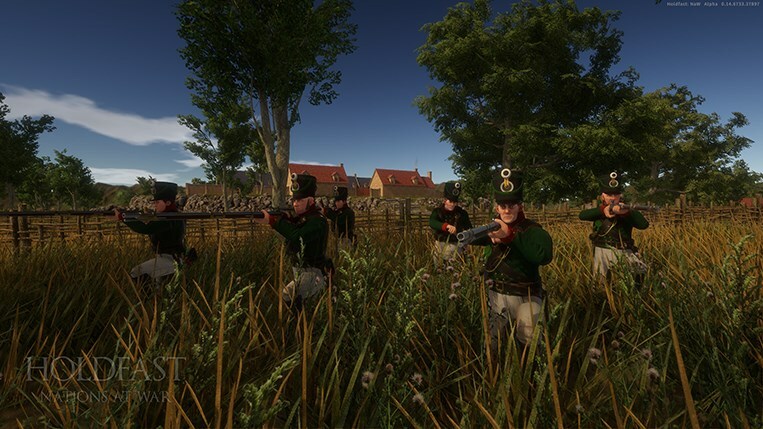 Strive for dominance over the fortified village in Linburg with plenty of possibilities for flanking manoeuvres or take the fight on the open plains in Black Forest. Expect to hear more of this from us in our blog posts as we have quite a few maps soon nearing completion! Until then, you can check the new maps out on the official servers. Holdfast: Nations At War is now running on the latest version of Unity 2017! Development on the upgrade has been one of the largest undertakings that the team has embarked on to date with a code base of over 150,000 lines of code receiving iterations to make this all possible. The engine upgrade has been our sole and primary focus during the past month. “Why spend development time on such a time-consuming undertaking?”, you may ask. We have promised our community that we will improve upon melee combat during our Early Access release and this was a necessary stepping stone towards that. New technologies in the upgraded game engine will allow us to further refine player movement and solve the discrepancies with ‘hitboxes’ - Development on this is currently ongoing and will continue to be given the highest of priorities. 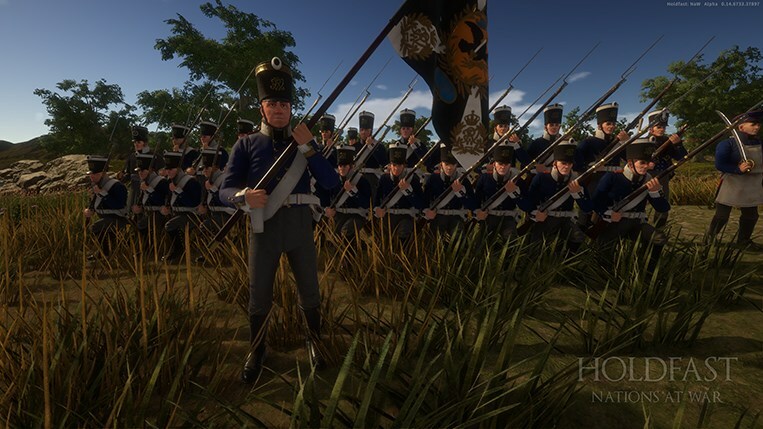 As soon as development on the player movement re-design is finalized, we’ll make it available on the BETA and work with our community to polish this mechanic. Once again, be sure to join us on our Discord if you’d like to participate. Playing the same game mode can sometimes become a bit stale and rightly so! The community suggested that we host official servers with different game modes in a server’s rotation and we’re doing just that. Would you like to play the Army Siege, Army Conquest and Army Battlefield game modes without having to switch between servers? Join one of the Army Front official servers in both EU and NA to do so. Albeit a relatively minor feature when compared to the rest in this update, we thought that it would be ideal to provide players with the functionality to open and close doors for fortifications, houses and other structures. The more things you can interact with on every map, the better. Enlist in a Crew or Regiment. 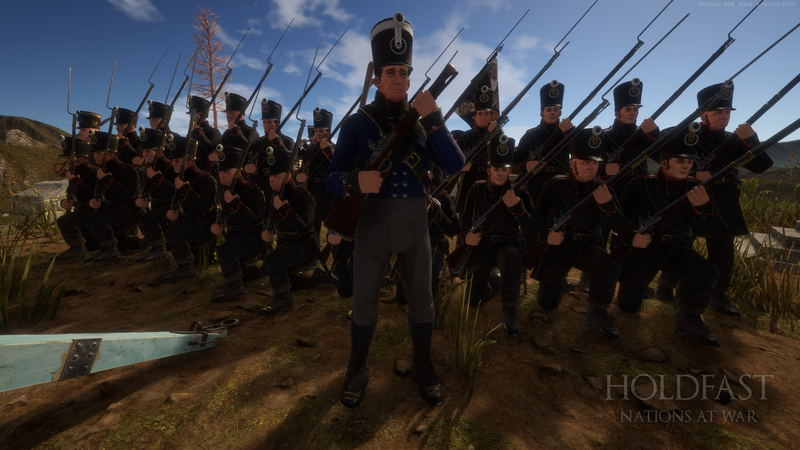 - Head into battle with the all-new Prussian faction as they are now available to play in Holdfast: Nations At War. - Interchangeable Faction Spawn Positions! There are plenty of players who are particularly adamant about always joining one particular faction. With this addition, the initial spawn position of a faction will be different after each and every round. 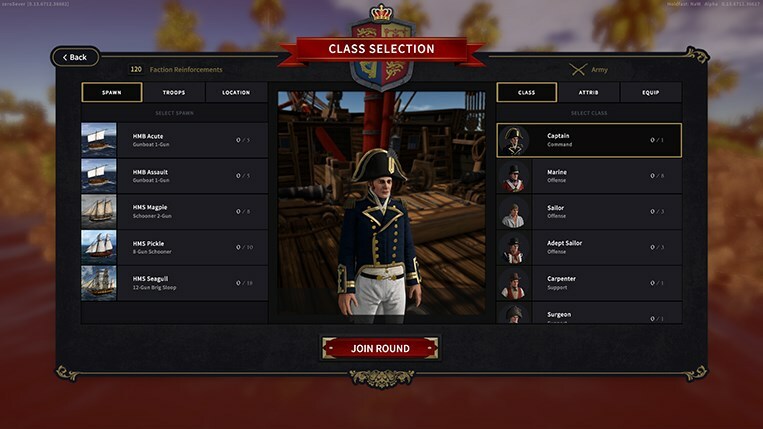 » This functionality is supported on all existing game modes including Army Assault and all Naval and Coastal game modes. - British Coast Guards. New Units! 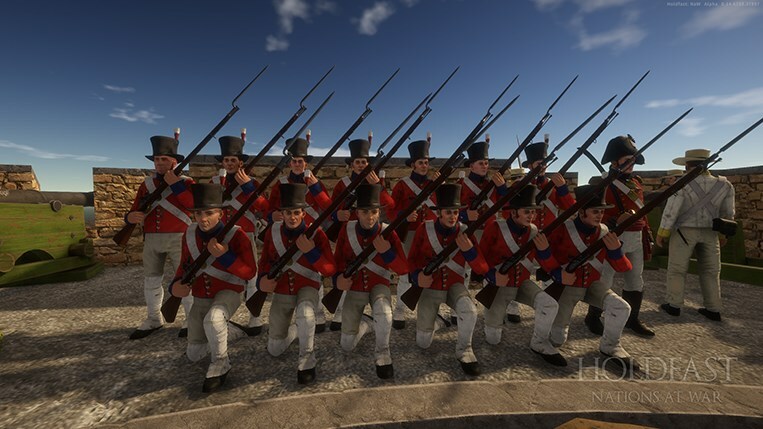 Defend as the British Coast Guards in the Coastal Siege game mode. - The Spawn Menu User Interface has been completely re-designed. It is now much easier to locate a naval vessel to spawn on if you’re playing with your crew mates. - 2 new maps! 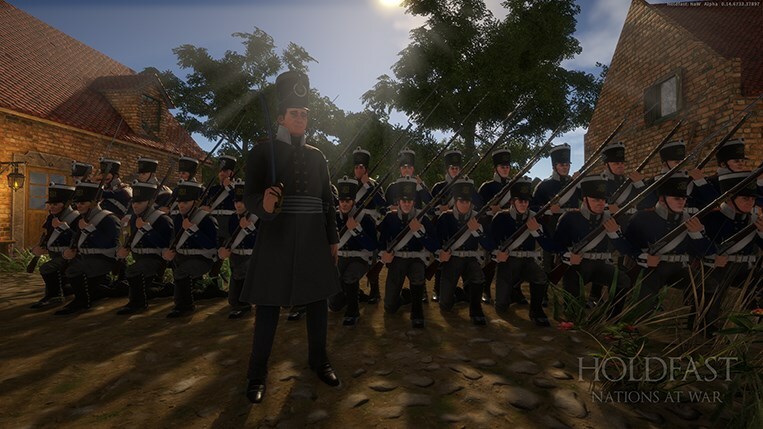 Linburg and Black Forest are now in the game. Both of these maps have been included in the official server map rotation. - Game Engine Upgrade! Holdfast: Nations At War is now running on the latest version of Unity 2017. Development on the upgrade has been one of the greatest undertakings that the team has embarked on to date. 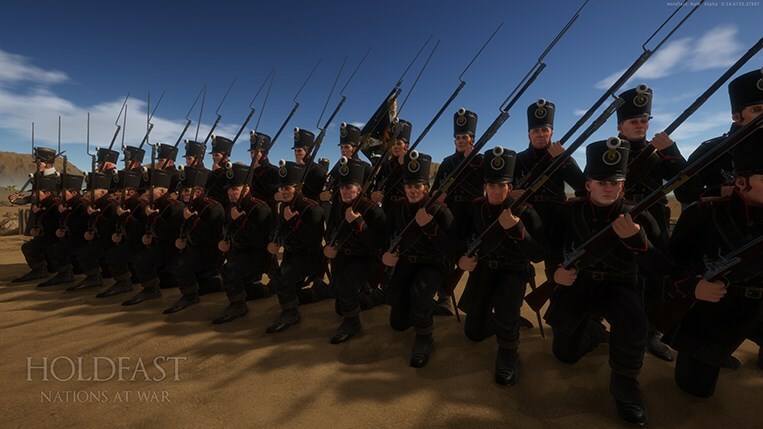 » All of this was done with the primary objective to improve upon melee combat. 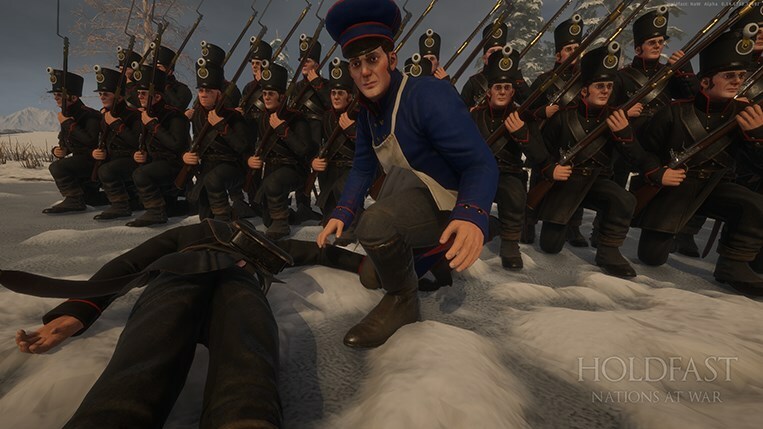 » New technologies in the upgraded game engine will allow us to further refine player movement and solve the discrepancies with ‘hitboxes’ - Work on this is currently ongoing. - Multiple Game Mode Servers! 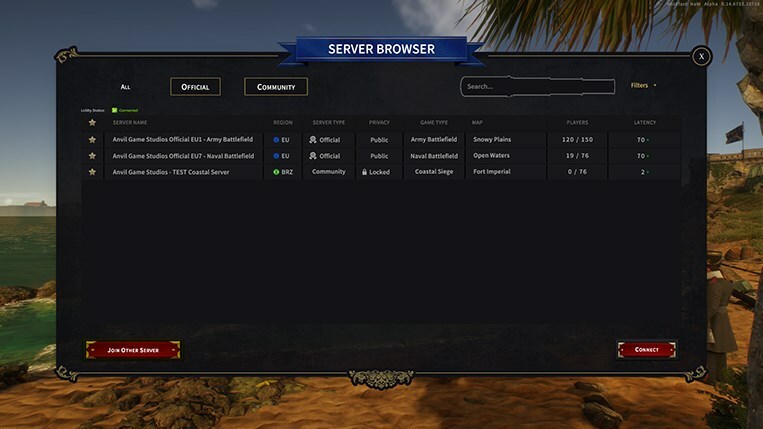 Join one of the Army Front official servers to play the Army Siege, Army Conquest and Army Battlefield game modes without having to switch between servers. - Openable and Closable Doors. More objects to interact with on the map. - Roleplay! Several chairs on various maps are now sit-able. 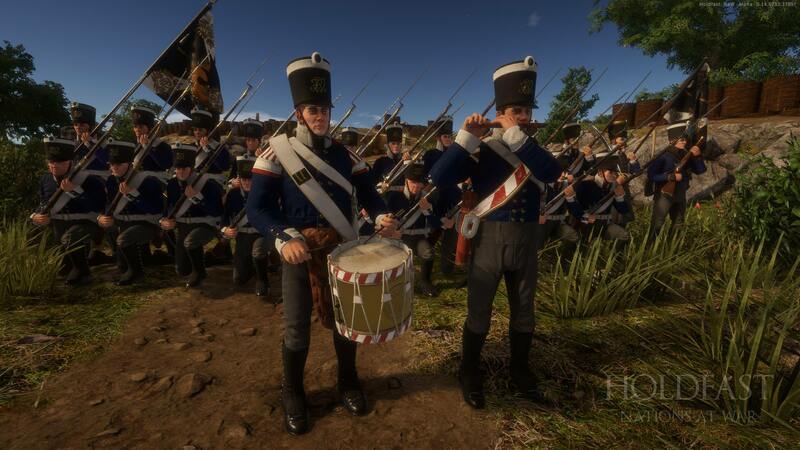 - New end of round victory tunes for all factions are now in the game! We do hope that you take a liking to these. - Server administrators can now select Brazil as a region through the server configuration file. - Rifleman accuracy over long distances on the Standard game type has been reduced. - Fixed a bug which caused the server to disconnect all players after 254 rounds. - Shadows have been improved. - The main menu screen has been changed to showcase the glorious Prussians. - Added an audio reverb for an echoey effect when speaking or other sounds play inside buildings. - Map loading screen images will now appear faster. 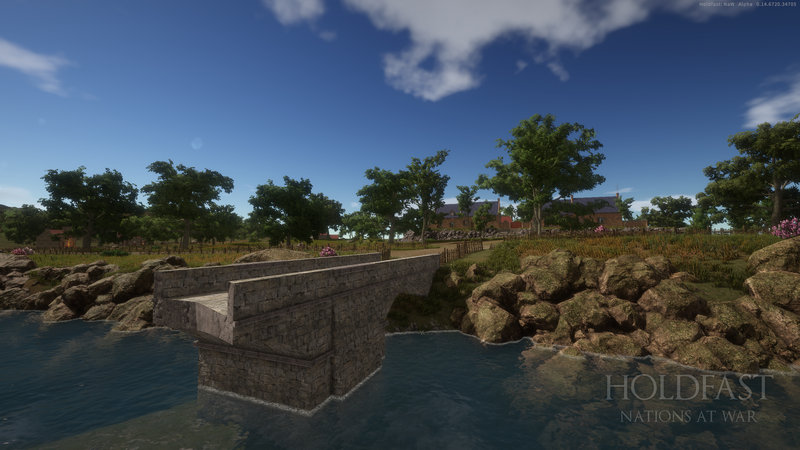 - Arranged the order of a variety of spawn points on land-based and coastal maps in the spawn menu. This is so that the base spawn points where the greatest number of players can spawn will always show at the very top. - You can now find multiple spawn points on the Training Grounds map when playing on the Army Battlefield and Army Assault game modes. 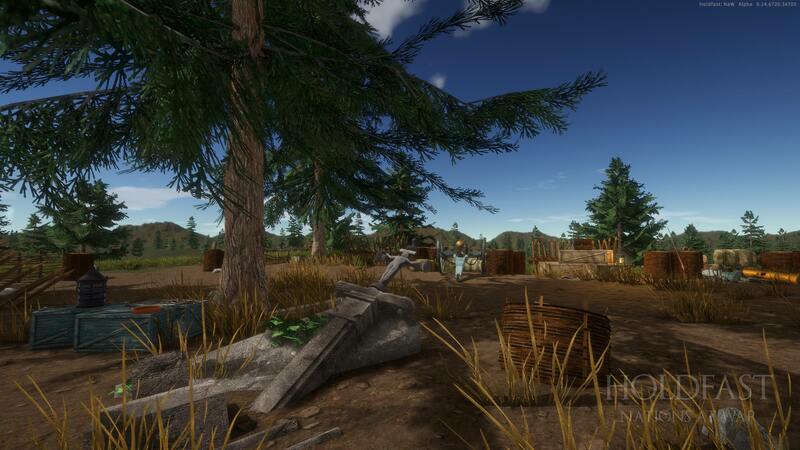 This will make it easier for players to travel around various locations on the map. - Adjusted the initial spawn positions for players on several maps so you don’t spawn way too much above ground. This is still a work in progress and some spawn locations have yet to be re-visited. - Training Grounds is no longer playable on the Conquest game mode. - You can now play with all the in-game classes including the Naval and Coastal ones on the Training Grounds map. - The Training Grounds map now has a unique loading screen. - Fixed an issue with an incorrect sound being played when hitting the wooden floors of the church found on the Training Grounds map with a melee weapon. - You can now find mortars at both of the base spawns on Fort Winston. 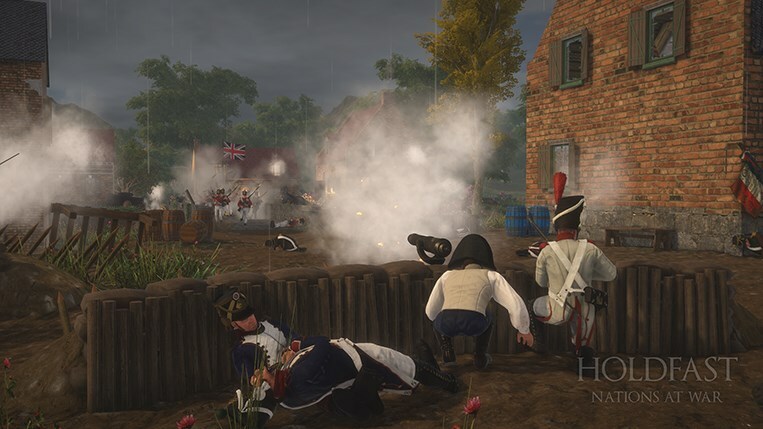 - The cannons inside the siege camp on Fort Winston are now able to cover a greater area. - Included several ambient sounds on Fort Winston. - Fort Winston has received various optimisations. - Fixed an issue where players could hide inside gabions on the Desert Plains map. - Fixed an issue with objects disappearing at a close distance on the Desert Plains map. - The snow accumulation on the Grassy Plains map now looks better. - Adjusted several ladders on Sharpton so players can climb them more easily. - Fixed an issue with cannon rotations on the Sharpton siege map. - Fixed an issue where players could jump out of the window and go into the river on Sharpton. 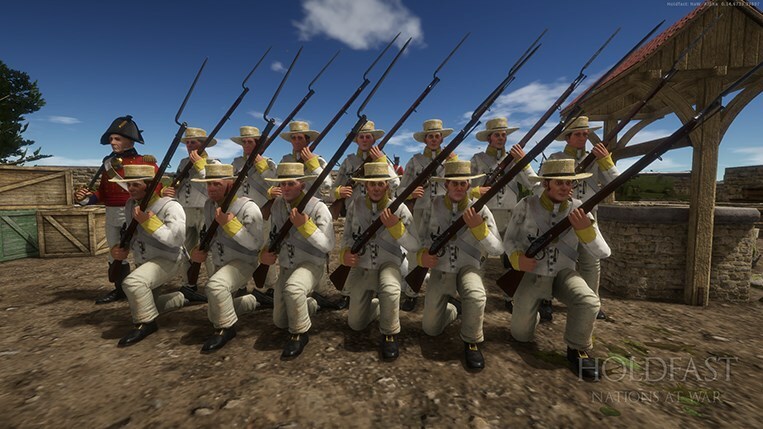 - Fixed an issue where the Officer class showed twice in the list when spawning on the Windmill spawn point on Sharpton. - Fixed an issue with the snow accumulation on the Sharpton map looking too bright. - The camp on Fort Christina has been filled with additional props. - Fixed a spelling mistake on one of the spawn points in Fort Christina. - Fixed several instances where players could get stuck between objects in Fort Christina. - You can now more easily climb the staircases near the gabions in Fort Christina. 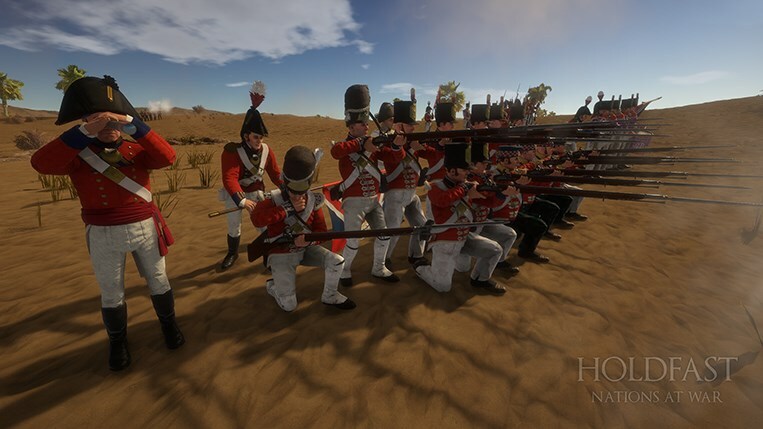 - Fixed an issue where players couldn’t spawn using the Rifleman class on the Highlands map. 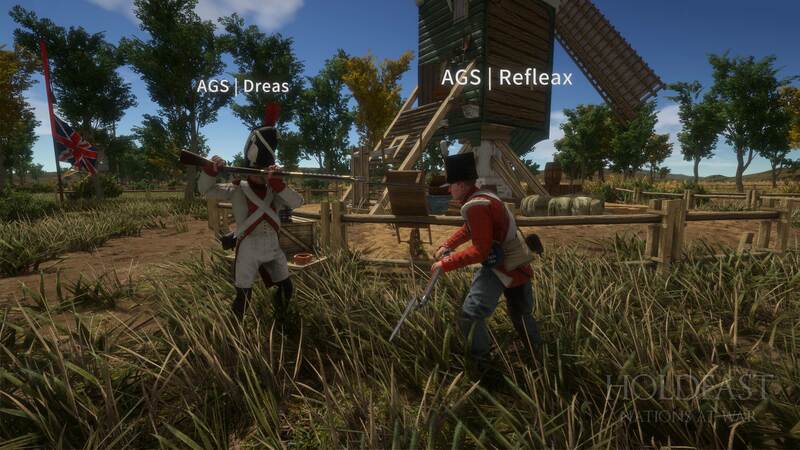 - Fixed an issue with recoil on one of the cannons on the Highlands map. - Players will now find additional doors when traversing inside the South Sea Castle fortification. This was done so that the fort is more easily defendable. 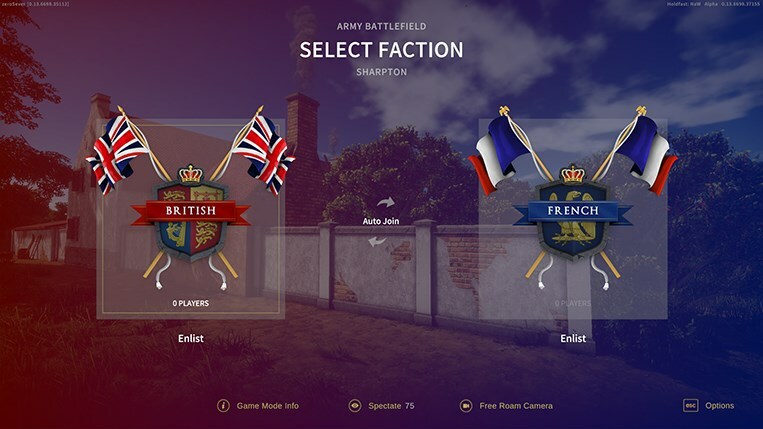 - Fixed several spelling mistakes in the music selection panel for the British faction. - Fixed an issue with flickering textures on one of the pianos in the game. - Fixed an error that was being caused when an object was destroyed in the game. - Sometimes players may experience graphical issues when playing on the Naval or Coastal game modes. We're working on a fix. - Coastal Siege maps are missing a background when selecting a class in the new spawn menu user interface. - You can ‘Turn On’ a door. Yeah. Brilliant. Look forward to more updates from us in the coming weeks! We’ll keep you updated on our progress. Thanks again for your support and as always, may good health be yours.